In 2009, New York Times writer Eric Asimov proclaimed Joseph Carr a "producer to watch," ranking his wines alongside the likes of Far Niente, Clos du Val, Heitz, Grgich Hills and Rubicon. Mr. Asimov continued his praise of Joseph Carr wines, calling them "wines of balance and restraint." After 10 years serving as a world-class sommelier followed by ten years as an international industry executive, Joseph Carr set out on his own in 2005 to form his family-owned wine company. It was, as Joseph Carr says, "a chance to follow a dream." Joseph continues to work with many of the associates he has met throughout his long career, all with a shared passion and desire to produce world class wines. Influenced by the wines of Bordeaux and Burgundy, Joseph Carr's winemaking philosophy is balance, sophistication and approachability; an old-world style producer, but distinctly Californian, sourcing Cabernet Sauvignon and Merlot from select vineyards in Rutherford, Oakville and the Stags Leap District. 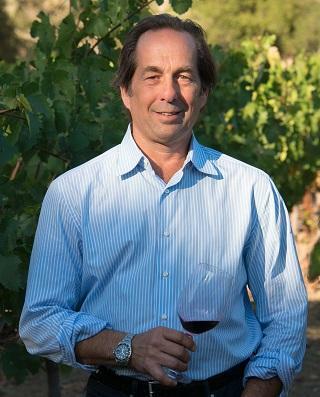 In 2010 Mr. Carr began working with Aaron Pott, Food and Wine Magazine Winemaker of the year. Together they have produced wines that offer a district level of sophistication and value, and reflect Potts philosophy of winemaking with little intervention.